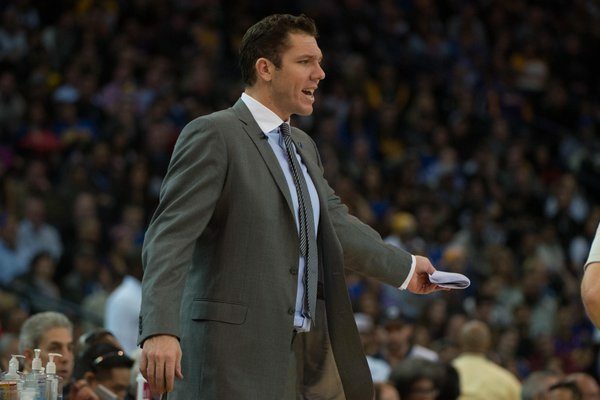 Take it from Stephen Curry: The Los Angeles Lakers’ players love them some Luke Walton. On the one hand, Walton isn’t following a tough act. Byron Scott’s tenure with the Lakers was an unmitigated disaster. He couldn’t relate to the kiddies, which is a huge problem when you’re in control of a rebuilding squad. On the other hand, though, Walton’s more laid-back, culture-focused style seems to be effective in general. Yes, the Warriors worked so well together, got along so well together, because they were winning. But putting an emphasis on relationships and development and clear directives, both on and off the court, goes a long way. The Lakers are already reaping dividends from Walton’s time with Golden State on that front. Their team appears far more united than it has during the previous few years. Whether that’s the first step toward building a sustainable power down the road, we can’t be sure. But Walton’s sideline reign already beats that of the previous regime.